This Is Your Captain Speaking: The End of the Commuter Airlines? In an interesting development, Delta Airlines recently announced the purchase of 20 Embraer E190 100 seat aircraft to be flown by Delta mainline pilots. This is significant because it represents a departure from the business model of 100 seat or fewer aircraft being flown by outsourced regional airlines at significantly reduced wages compared to mainline aircraft. This deal is contingent on the Delta pilots' union ratifying the latest labor agreement which establishes pay rates for the smaller aircraft. 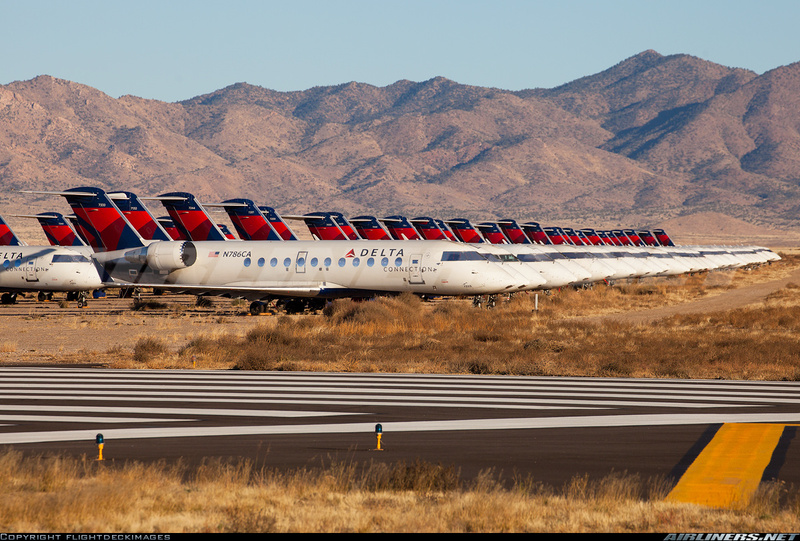 Historically flown by regional carriers such as Skywest and Comair under the livery of Delta Connection, Delta mainline pilots will now operate these aircraft along with the smallish Boeing 717 aircraft which were acquired from Southwest after their merger with AirTran. The existence of the current regional airline industry has always been dependent on two things: cheap gas and labor. 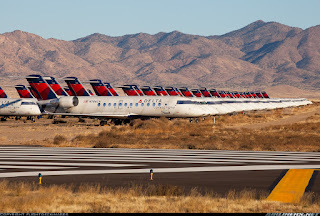 Starting with the introduction of the first small commuter jets like the Bombardier CRJ-200 50 seat aircraft in the mid 90s, the business model was to use the speed and range of the new jets to bypass a nearby hub to feed passengers directly into a distant hub. A number of factors prevented this vision from being fully implemented but regional jets (RJs) did become a fixture of the airline industry serving smaller airports which might not have enough traffic to support larger narrow body jets like the Airbus A319 or Boeing 737. Typically, regional airlines would sign long term fixed rate agreements with their sponsor airline. All they had to do then was to lower their own costs to make more money. Primarily hiring young pilots wishing to build hours, regional airline wages for aircrew are a fraction of those in the main line carriers. Relatively cheap prices for fuel in the '90s and '00s also helped to keep this business model afloat even though on a seat-mile basis RJs are more expensive to operate than larger aircraft having many more seats to generate revenue. Over time the 50 seaters gave way to larger and more economical 70 to 90 seat aircraft in the late '00s. But it appears as if a perfect storm of both high fuel prices and a pilot shortage may be signalling the end of the RJ era. Large numbers of Vietnam era pilots are retiring from the mainline carriers. These pilots are being replaced with pilots being hired from regional carriers, but new rules recently instituted by the FAA have raised an extremely high bar for aspiring pilots to get the hours required to be hired at the regionals. The result has been reduced service and even the abandonment of some routes by regionals for lack of pilots. The upshot is that wages will rise for the few pilots that remain in a tug of war between carriers. Delta may have realized that as long as the benefits of having cheap labor around aren't available, there may be no reason to outsource their operation to a regional airline. They'd certainly have more control over service levels and product quality if the operation was kept in house. This may be what is happening. If the other legacy airlines follow suit, the game may be up for the regional airline model. As always in this business...stay tuned!